9/7/15 Following a possible Ring-necked Duck at Tophill Low NR on Tuesday [see here] thought I’d check for it a High Eske NR on Thursday afternoon. No sign of it and nothing else notable bird wise but good to see the Tufted Duck still had seven chicks. Had to satisfy myself with insect. 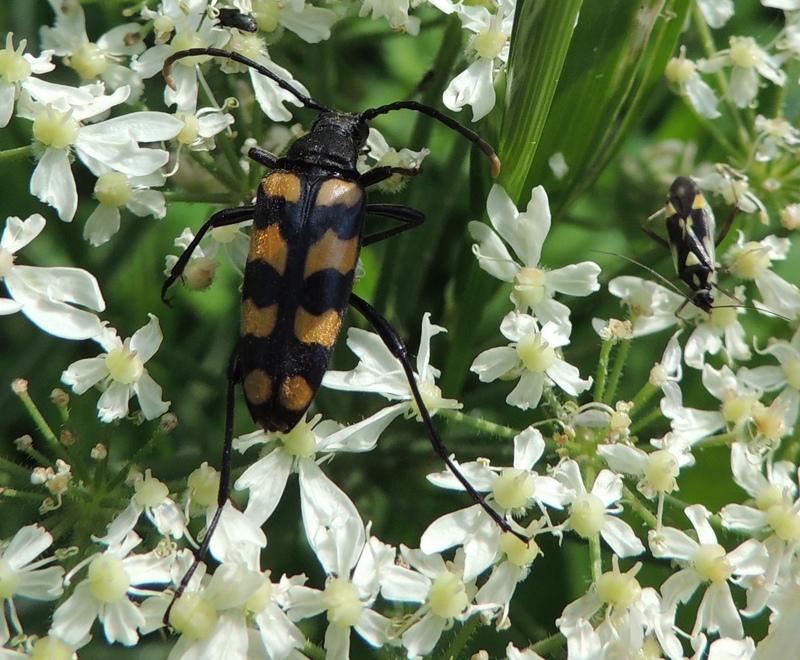 Rewarded early with my first long-horned beetle of the year. A small herd of Belted Galloway have been grazing Pulfin Bog for a few weeks. 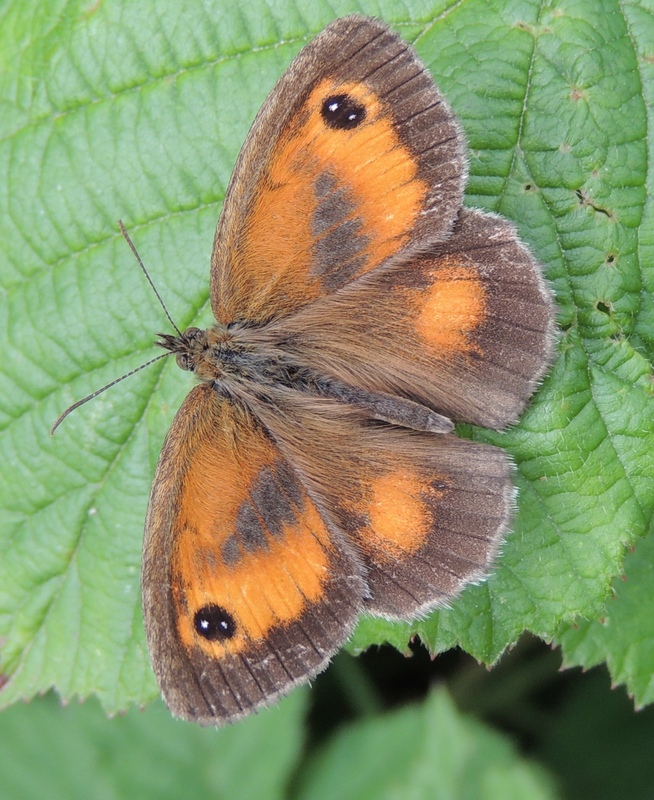 Likely from the same stock as the cattle at Tophill Low NR. Seem tamer than the previous Highland Cattle which could be a bit flighty. Also good that they are contained on Pulfin and not free to roam the whole area as meeting even friendly cattle on the narrow track around High Eske NR isn’t fun. 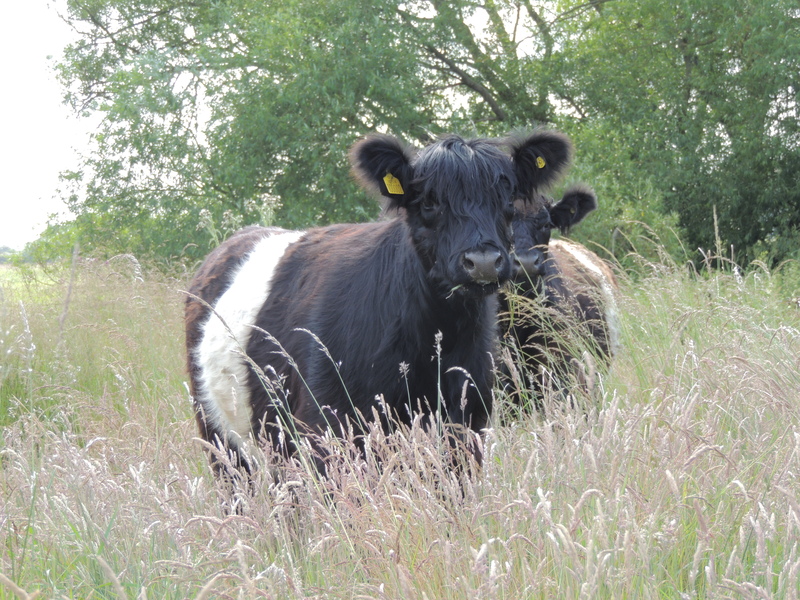 Belted Galloway on Pulfin NR. 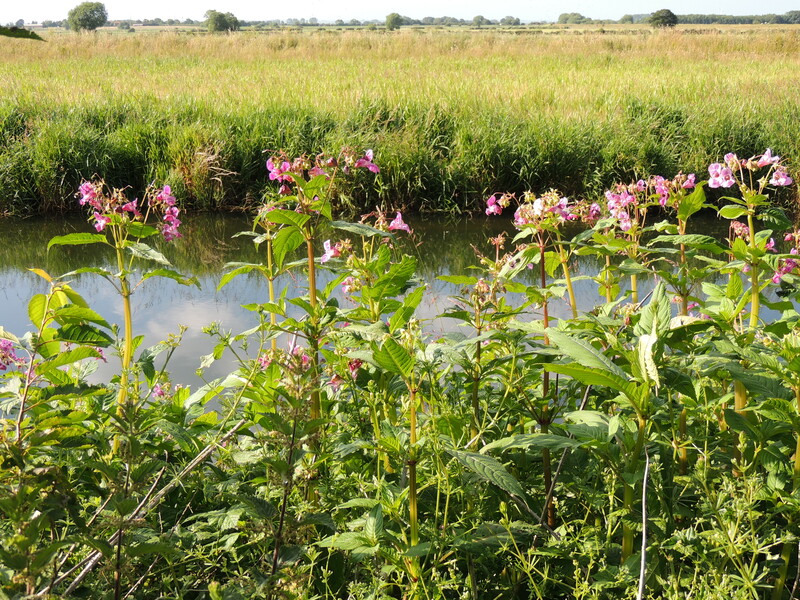 On a negative point wasn’t good to see Himalayan Balsam is in force again this summer. 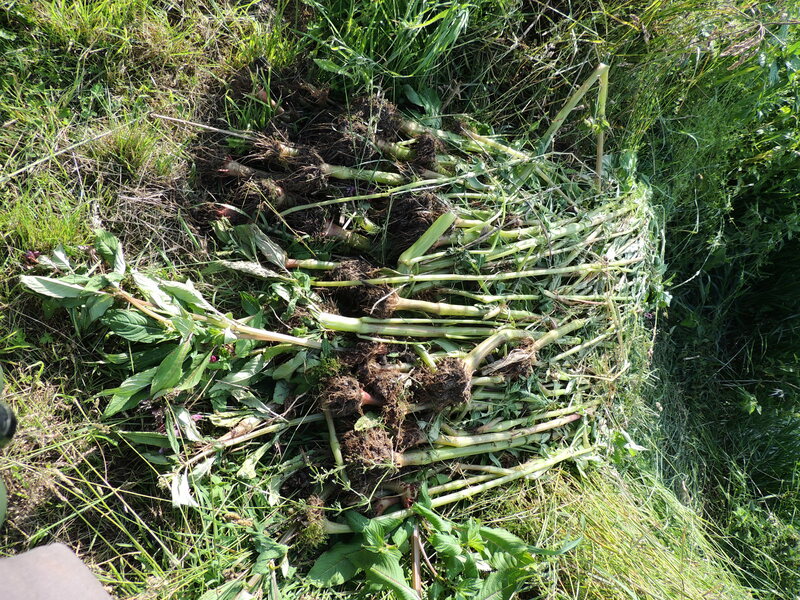 A highly invasive garden escape that grows strongly in wetland habit [see here for more details]. Fortunately there was evidence that clearance was already underway. Walking back south had a Black-tailed Skimmer but didn’t rest long enough to photograph. 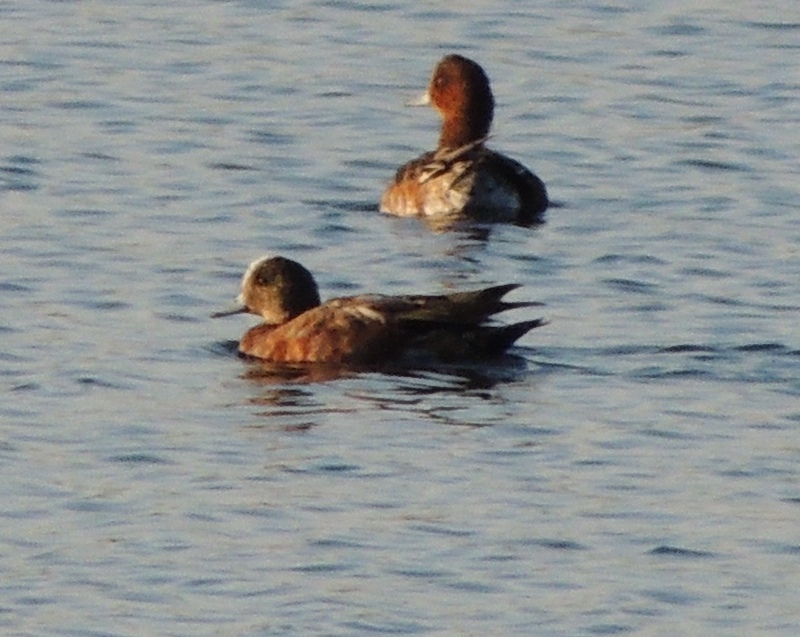 Texted by SG that GED had found a drake American Wigeon at North Cave Wetlands NR. 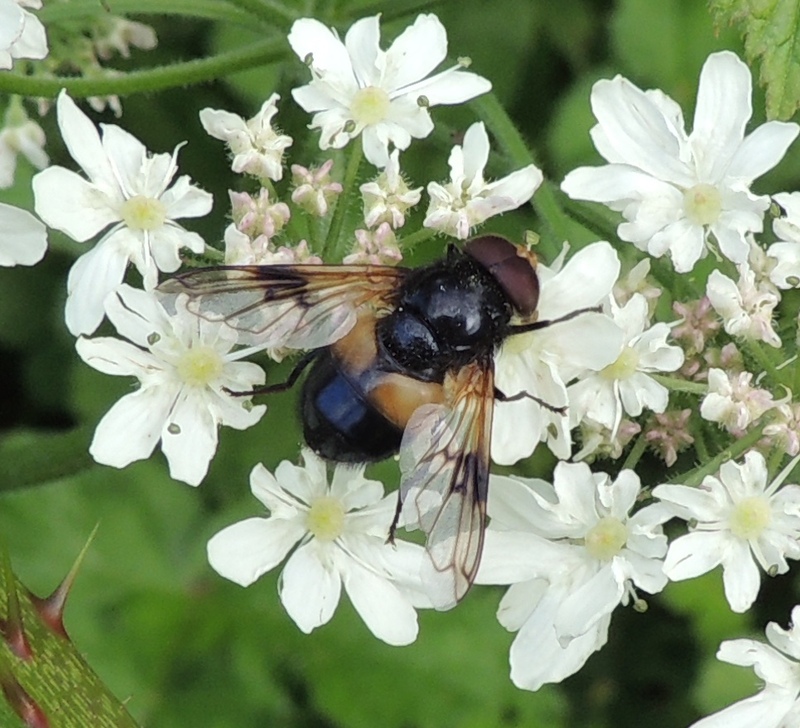 Wasn’t even a year tick for me [see here] but was new for the reserve so thought I better go. Arriving at South Hide the wigeon was currently out of view having moved behind an island. However on arrival GD picked it up in open water with a Eurasian Wigeon. Originally asleep but I could pick out the distinctive white-crown. 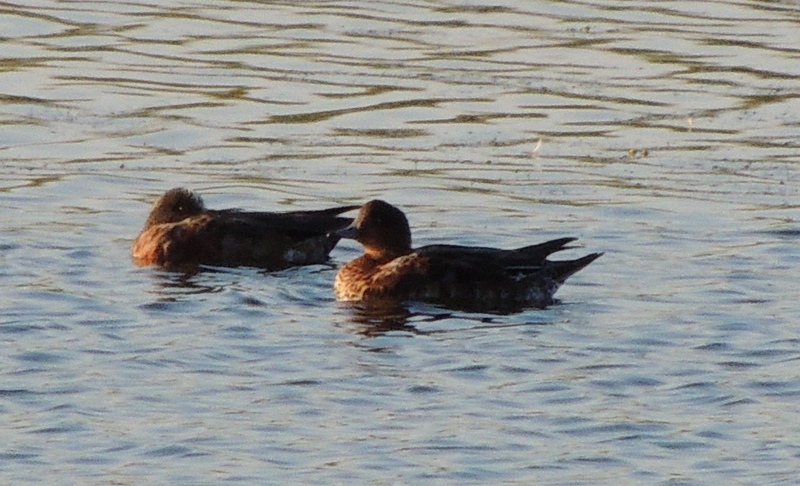 ♂.American Wigeon with Eurasian Wigeon-Main Lake,North Cave Wetlands. Fortunately did wake up to give better views. The fact it turned up the day one went missing at Old Moors RSPB would suggest the same bird. There were two American Wigeons in the county six weeks ago though. Didn’t bother with it on my visit to Old Moors RSPB ON Sunday [see here] so can’t comment. Not seen on Friday. 12/7/15 Had another visit to North Cave Wetlands NR on Sunday evening. Nothing of note and only manageD to see one adult Mediterranean Gull on Main Lake. No waders, even plovers, except Oystercatcher and Lapwing on Dryham Ings but dID get an interesting combo from Crosslands Hide. 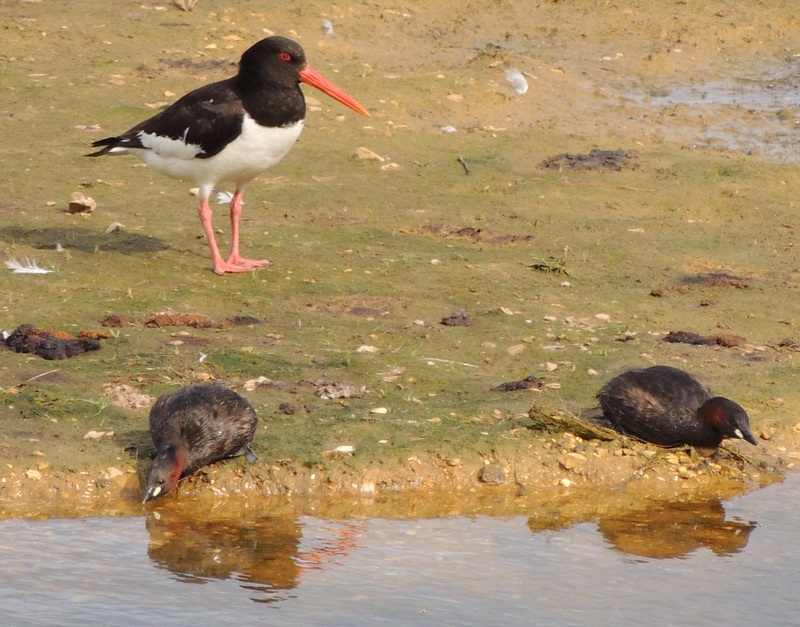 Oystercatcher and Little Grebe on Dryham Ings.